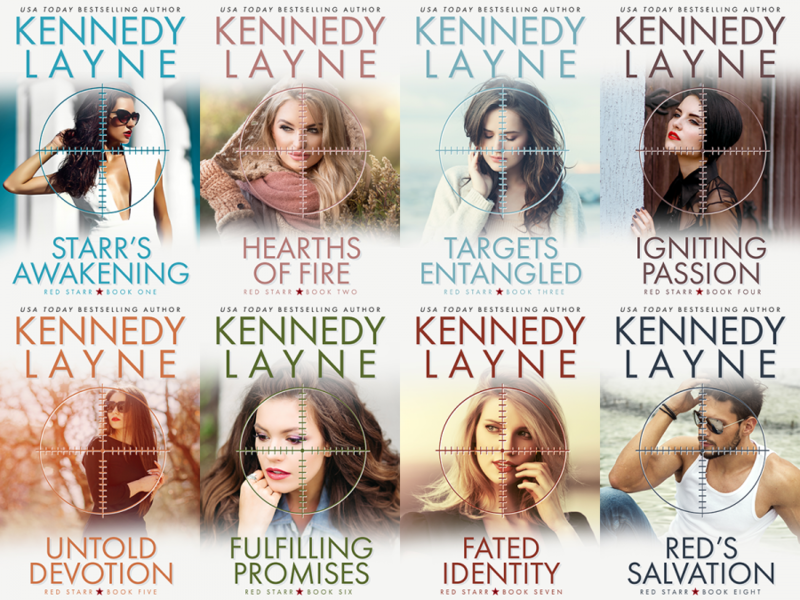 USA Today bestselling author, Kennedy Layne, is unveiling brand new covers to all eight books in her adult romantic suspense/military romance series, Red Starr. See below for the new covers, information on the books, and buy links. STARR’S AWAKENING, book 1 in the series, is now available for free. Neal Bauer tried returning home once before and he found that some things aren’t meant to be. When Red Starr HRT, a paramilitary hostage rescue team, offered him a position that would use his specialized skillset that had served him well in the military–he jumped at the chance. 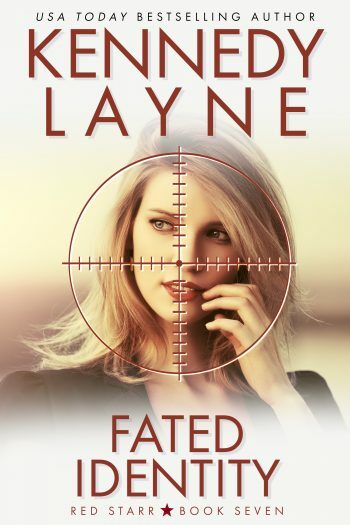 Charlotte Whitefall has made some really bad decisions in her life…leaving Neal Bauer standing at the altar tops the list. 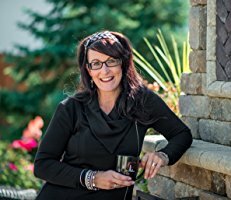 Growing up in Hearth, Missouri has taught her that when someone leaves their small town, they don’t return. She saved Neal from a painful choice by moving on with her life and raising her sister alone. When a local cult invades the town of Hearth, the citizens do their best to stay clear of the members. Everything changes when Charlotte’s little sister is drawn into their way of life. There is only one man who has the connections to eliminate the dangerous threat. Can Charlotte persuade Neal to come home long enough to rescue her sister? More importantly, can she convince him that she made a terrible mistake all those years ago–and possibly rekindle their smoldering passion? Aaron “Stick” Scott spent twelve years of his life protecting his country. He diffused well over fifteen hundred bombs during the course of his military career, expecting each one to be his last. Luck had a huge part in his survival but it was fate that had a laugh at his expense by having a woman shatter his heart. Simone Laurent’s career as a cultural attaché wasn’t exciting by any means, but she did love promoting the culture of her homeland. What she hadn’t anticipated was getting caught up in political war where her life would be at risk. Her situation goes from bad to worse when the man she left behind is the only one who can save her. Stick’s hostage rescue mission becomes sidetracked when he’s ordered to protect the one woman who couldn’t handle his job. Seeing her in the light of day brings back memories they’d both rather soon forget, but it’s the long evenings together that lights a fuse neither one can ignore. 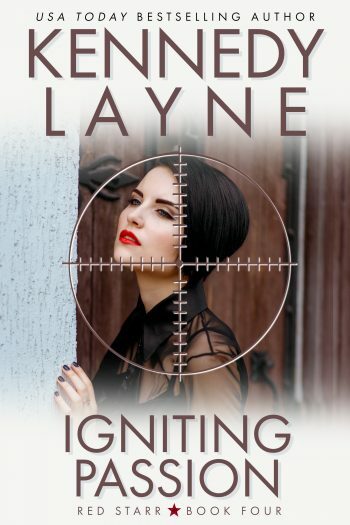 Will their reignited passion survive the highly explosive danger that’s coming their way? John “Trigger” Dixon returned to his small hometown in rural Mississippi as a favor to an old high school friend. It was meant to be a quick trip, with a short visit to his parents and an afternoon spent spoiling his two nephews. He should have known his vacation wouldn’t go as planned. The rebel in him always got in the way. Devyn Wilde had lived up to her surname according to the townsfolk–at least by reputation. 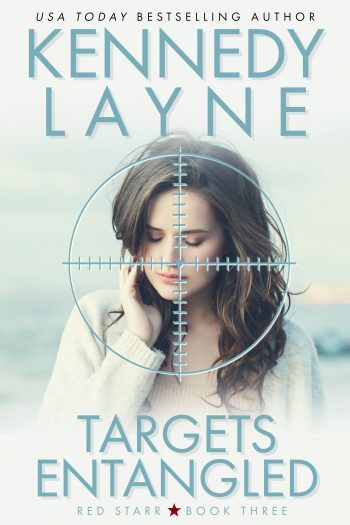 She’d never let it bother her before, but she’d finally had enough after she was brought in for questioning by the police for her brother’s murder. How could anyone believe that she would forsake her family? In the south, family comes before anyone or anything. 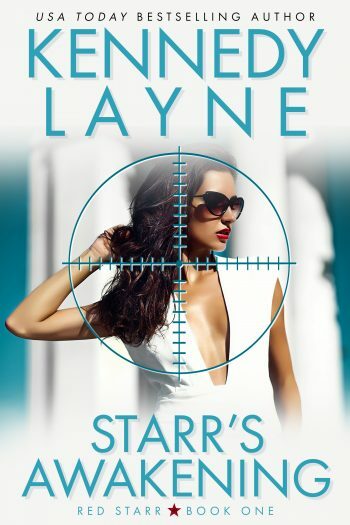 Trigger had last seen Devyn right before he’d joined the Red Starr Hostage Rescue Team, both of them agreeing to end their casual relationship. After all, it had been a temporary diversion–friends with benefits. 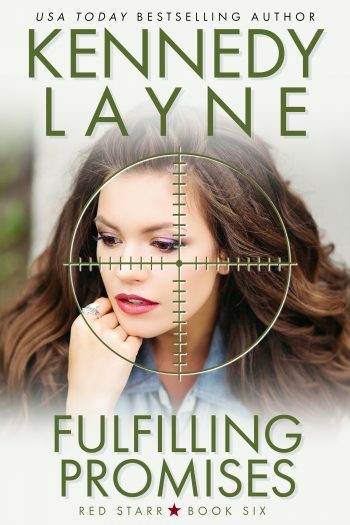 He hadn’t expected to find that she was a suspect in a homicide investigation, secretly investigating her brother’s mysterious murder. Their sweet passion returns full force despite the danger, but keeping an old promise might just cost him his life. 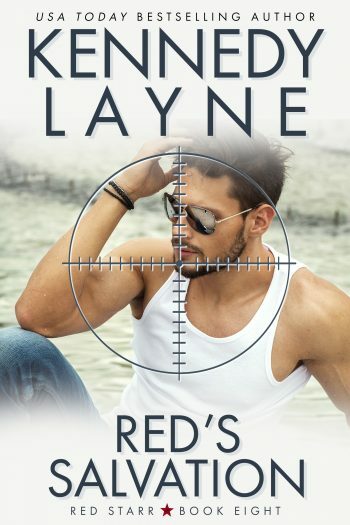 USA Today Bestselling Author Kennedy Layne continues the Red Starr series in a build-up to the one question everyone has been asking…is Brendan “Red” O’Neill dead or alive? Grady Kenton has loved and lost–and he doesn’t plan on repeating it. He enjoys his semi-retired life as a consultant with the CIA while only taking the cases he finds interesting. He relishes the long seductive weekends with Brienne Chaylse, the beautiful liaison who understands his boundaries and accepts things the way he needs them to be. Secretly, Brienne doesn’t understand why Grady can’t move on from his past. What she does know is that he’s more emotionally distant than when they’d first met and she can’t accept the friends-with-benefits play any longer. 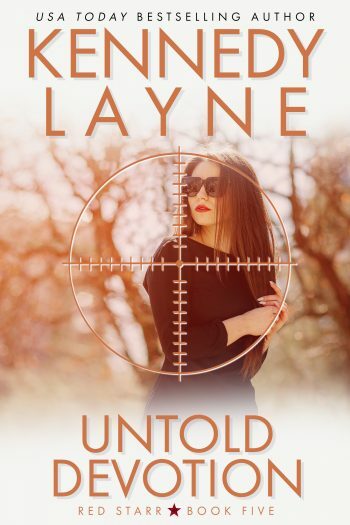 Something has to change, and fate forces her hand when her identity as a CIA special agent is leaked to the media. She and Grady must race to discover whose betrayal runs deep while their true feelings emerge in this perilous time. 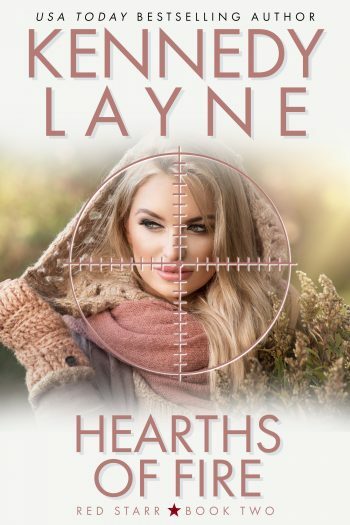 Unfortunately, the secrets revealed have the potential to shatter the love they’ve shared while on pursuit of a danger that could change everything.